I know that I sit too much. 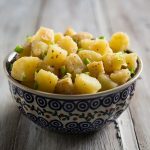 You might think that I spend most of my time in the kitchen, but the truth is that cooking is just a small part of keeping my blog and website running, which is now my full-time job. 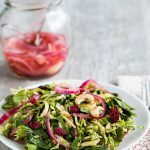 Besides writing blog posts, there are behind the scenes duties such as tweaking the site’s code, replying to email, answering questions on Facebook or in blog comments, processing photos, updating Facebook, even paying the bills–all of which I do while sitting on my behind in front of a computer. 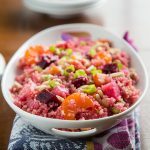 After reading that article, I immediately started trying to stand more, to get up from the computer at regular intervals and walk around the house, and to exercise in front of the TV rather than sit in the recliner. From time to time I would even work standing up with my laptop perched on top of a bookcase. But these efforts relied on my actually remembering to get up, and as you may know, the allure of the comfy chair is strong, so I was still sitting too much. I began to seriously consider buying a treadmill and making my own treadmill desk. Yes, you can buy a treadmill with an attached desk. But, I found that these machines are simultaneously more expensive than regular treadmills and less powerful. The speed tops out at 4 miles per hour, and there are no programs or incline settings. I wanted to be able to use my treadmill for regular workouts as well as for a desk, so I decided to buy a regular treadmill and make my own removeable desktop. 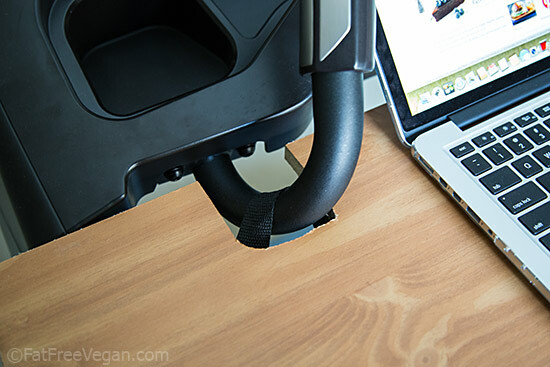 All treadmills are different, so the steps I went through won’t work for every one, but if you’re considering building your own treadmill desk, my process may give you some ideas and show you how easy it can be. When shopping for a treadmill, I looked for one that had level arms that could hold a board across them without sloping, and this concern ruled out a lot of treadmills. After much shopping and review reading, I finally settled on the Livestrong Fitness LS10.0T-2 Treadmill*. It had all the features I wanted, as well as level arms. The arms were a little short but long enough to hold the 12-inch wide board I planned to use as a desk top. After the treadmill arrived (in a HUGE package and weighing over 300 pounds) and my husband and I managed to wrangle it into place in our bedroom, I spent the evening putting it together and then the next few days getting used to it. Then it was time to go to Home Depot to buy the board that would become my desktop. I decided to use a faux-finish shelf board by Rubbermaid rather than a “real” board so that I wouldn’t have to worry about sanding it or getting splinters in my hands as I worked. The 12-inch deep by 36-inch wide board fit across the arms of the treadmill perfectly, except for one problem–the handlebars that hold the heart rate sensors jutted out, keeping the board from fitting close enough to the console. So I needed to cut out slots for the handlebars. I put the board under the treadmill arms, lined it up against the edge of the console, and used a pencil to trace around the handlebars. Then I used a jigsaw to roughly cut out those sections. Now the board rested perfectly on the arms and just needed to be fastened to the treadmill. Figuring out how to secure the board to the treadmill was the toughest part of making the desk. I needed something that would hold the board tightly to either the arms or the handlebars so that I wouldn’t accidentally send my laptop flying the first time I grabbed hold of the board while work-walking. But it also had to be easy to unfasten so that I could take the desk off when I wanted a full workout. I was prepared to go back to Home Depot for supplies if I had to, but I looked around my house for items that might work and found an old fanny pack (remember those?) in the back of a closet. It had a long strap made of nylon webbing, a side squeeze buckle, and a short strap with a lobster clasp. I cut the strap around the buckle to fit over one handlebar, and then I looped some of the remaining strap through a keyring to attach to the lobster clasp over the other handlebar. Using a cigarette lighter, I heated all the cut edges, to melt them slightly and keep them from unraveling. Then I measured exactly, and where I would need to screw the straps down, I melted a hole using a hot nail. Then I screwed the straps to the underside of the desk using 1/2-inch screws and washers. The straps go over the handlebars and buckle or clasp on the other side. They take just seconds to clasp and unclasp, making the desktop easy to remove whenever I want to workout rather than work. 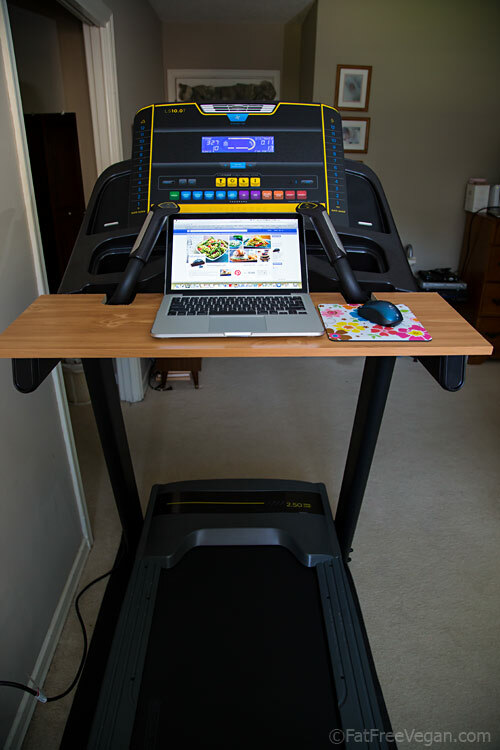 You don’t have to spend a lot to make your own treadmill desk. If you can find an inexpensive used one with level arms, an $8 pre-finished board and a little hardware is all you need. *P.S. 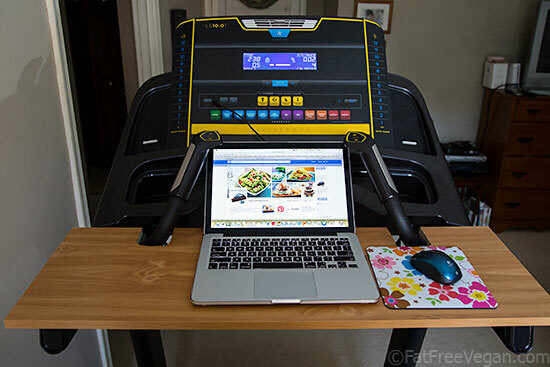 The Livestrong Fitness LS10.0T-2 Treadmill only works as a treadmill desk if you have a very small laptop. My 13-inch Macbook just barely fits between the handlebars. Please don’t buy it if you plan on using a larger laptop on it. 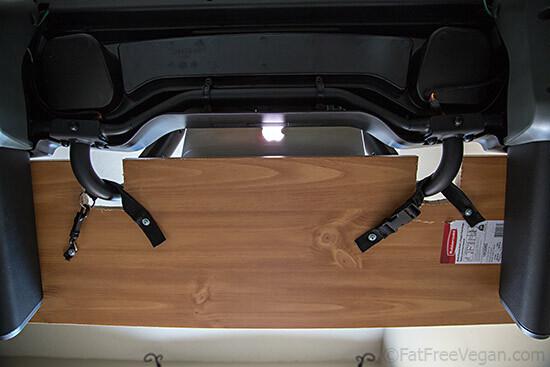 This post contains Amazon affiliate links, including a link to a treadmill I purchased myself. When you buy something through my links, I receive a commission that helps support this site. For more of my favorite Amazon products, check out my store. Thanks for your purchase! Thank you so much for this! I made mine in about 20 minutes and I’m commenting from my treadmill while I walk. I don’t have handles like that so I didn’t have to cut notches, but I do have buttons on the arms so I put strips of wood to lift it up off of them. I used craft rings to hook it on like a D ring belt. I used to have a baby sling biz so I had rings lying around. It’s very sturdy. 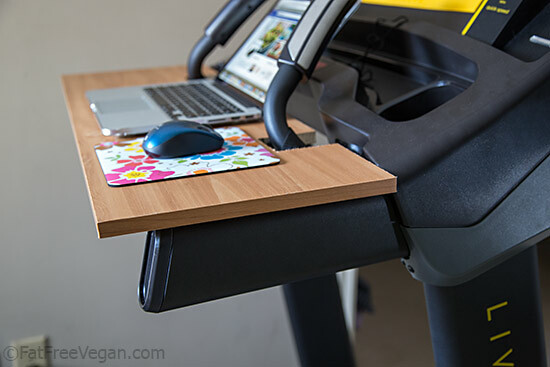 I have been researching treadmill desks–commercial and DIY. Gracias a Dios that I found your blog; it was the most helpful! 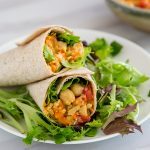 Thank you for your sharing and the clarity of the instructions! Plans are to proceed with my own project. And, I will be returning to your site for information and inspiration. My current hybrid/standing/walking station on imgur.